Do you get tired during lunch time? 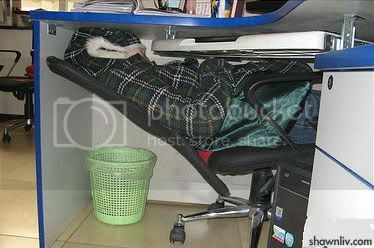 Need a place to take a rest but not able one! 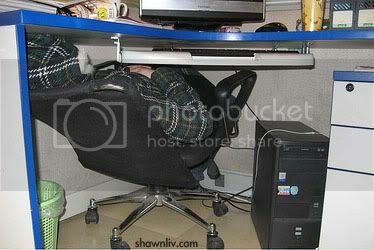 Ok, Here a good example for you to follow if you work in office as well as with the similar types of table and chair. You may try it but I not gonna to take any responsible ! !